Come down to register with Victoria’s newest rugby club which is recruiting players aged 16-20 years old for the 2017 rugby season. Come and meet other rugby players who you will know from your Victorian school-boy rugby career. Enjoy some rugby fun and reminisce over past battles on the rugby field. Also come and meet the coaches and foundation members of the club and share a sausage sizzle with other committed rugby supporters. Players who are new to rugby are also welcome to get a taste of what might become a passion, as it has for a growing number of past Victorian school-boys. If you are a school-girl past or present, please also come down and hear about future possibilities to play for an inclusive rugby club, and perhaps emulate the Aussie women’s 7’s Rio gold medal winning team. If you are a parent of a rugby player, or you yourself are a past rugby player - then you are welcome to join us to socialise in a familiar and friendly atmosphere. With the 8th Rugby World Cup underway in the UK, excitement is building for 2015 Rugby World Cup Weary Dunlop Luncheon to be held on Friday 16 October, 12pm for 12.30pm at Crown Palladium, Melbourne. If you are able, please join us to celebrate our great global game off the back of another successful year ofRugby Union in Victoria. The special guest speaker is 1999 Rugby World Cup Champion Owen Finegan. Come dressed in a touch of colour of your Rugby World Cup Team! The Master of Ceremonies, Ron Steiner is working as part of a committee to ensure that Weary Dunlop events are recognised as Australia’s premier sport business networking forum. Please complete the attached booking form by COB Monday 12 October. The luncheon is being held the day before the Melbourne International 7s (MI 7) tournament to be held on Saturday 17 and Sunday 18 October at Frankston Park. As part of the Frankston Festival of Rugby, Melbourne Rising will host the Sydney Stars in the final round of the Buildcorp National Rugby Championship in the afternoon of Sunday 18 October at Frankston Park with a 1.30pm kick-off. Adult Tickets are $15 for the day or $25 for the weekend with children under 12 free. Further details can be found on the Melbourne Rising website and please book early on-line. Allnet proceeds from these events are directed to the development of community rugby in Victoria. Also happening at the Weary Dunlop Lunch will be the announcement of the winner of the Volunteer of the Year award sponsored by Rabo Direct. Our own Bernadette Dinneen is in the running for the big prize of an additional $5000 for Marcellin Rugby. So come along and lend your support and take advantage of a lunch out with friends or make it a networking lunch to surpass all others.  Announcement of the Marcellin Rugby Parents Support Group (PSG), Annual General Meeting. The AGM will be held at 7.30pm in the staff room at the school. All current committee members are requested to attend. The AGM will elect the new committee membership and will be immediately followed by our first General business meeting for the new PSG year to kick start the ideas for the 2016 VSRU season. The night to celebrate the 2015 season and present ALL of the school teams and players with their awards. In the 20th year of rugby at Marcellin we are breaking from tradition and will hold this event outside of the school premises. Due to the expected popularity and attendance it will be held at The Manningham in Bulleen. Tickets cost $25 per playing student and $50 for everyone else, including parents, siblings, non-playing students. Please download the flyer for the event here. Bookings close Friday 21st Aug - Book your tickets now to avoid disappointment. Please use the link here or in the flyer to go to the Trybooking site and buy your tickets now. In this the 20th year of Marcellin Rugby, we are privileged to be hosting the VSRU Grand Finals for all year levels on Sat 8th August 2015. It promises to be a huge day for the school and for the teams involved. Marcellin rugby teams of all year levels will be involved in some way on the day. We will be ensuring it is a day to remember for players and supporters alike. The PSG have been hard at work planning the day and we have plenty of jobs to be done. The Rugby Trivia Night is one of the biggest fundraiser nights for the year. Come and join the fun and take part in the silent or live auctions for the many items up for grabs. Paul Harvey, the satirical cartoonist, will be on hand to draw your caricature for a small fee. Held in the Function room at the school, there will be many games and silent auction items to have a bid for and many great prizes to win. Bring along a good pile of cash to enter the games and be ready to form your teams to compete for the coveted title of Trivia team champions for 2015. The event is BYO food and beer. The Rugby Fundraiser Wine boxes or bottles will be available on the night to purchase for you to take home or consume on the night. Another option is to pre-order your wine to be picked up on the night. Please use the wine order form if you wish to do this. Wine will not be sold by the glass at this event. Soft drinks and bottled water may be purchased on the night. See you there on Saturday 13th June 2015. 13 June is our next set of home games with the PSG kiosk in action. We hope you can assist. Please follow the link here to put your name on the google calendar. Its the same day as our Trivia Night so we really do hope that you can help us out. As pure fundraising goes, the Bunnings BBQ is one of the best for our Group. The team will be on BBQ duty all day to raise as much as we can to go towards our busy rugby calendar of events. We do need your help so please use the link here to connect to a Google calendar page and put in your name to assist on the day. We value any contribution you can give in blocks of one hour, please. Hope to see you there on the day. 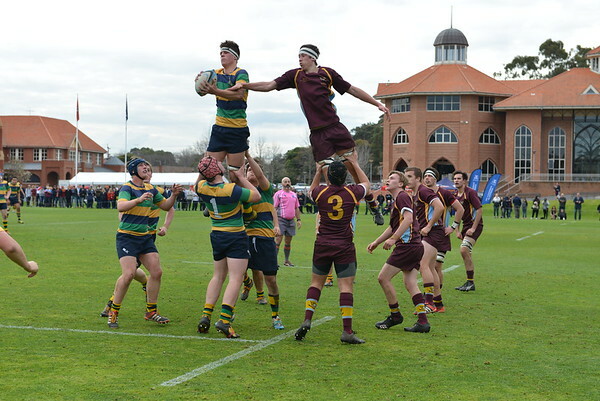 The school will be hosting the Weary Dunlop Shield during round 5 of the VSRU competition on 30 May. This is the round when we play Ivanhoe Grammar School at each year level for the coveted Weary Dunlop Shield. However, now that Marcellin is in Division 1 it has transpired that IGS now has a Div 2 match to play. This means there is no First XV match as we have the bye this week in Div 1. The U15 and U13 will play IGS at home and the Weary Dunlop Shield will be decided as an aggregate of the two match's scores. U13 kick off at 8.30am and U15 kick off at 10.00am. The U14 are scheduled to play Scotch College at home with their match starting at 9.15am. Please click here if you can help for any amount of time. The next Kiosk being run at the school grounds for the rugby teams and supporters is next weekend. Please click here to go to the google calendar page to register your assistance. Many Thanks from the teams and the Rugby PSG.